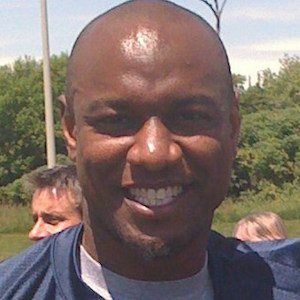 Former football player and radio show host, he is best known for his time with the Tennessee Titans in the NFL, the Montreal Alouettes and Toronto Argonauts in the CFL, and the Chicago Slaughter in the Indoor Football League. He began hosting the Jarrett Payton Show on ChicagolandSportsRadio.com. He played soccer and football in high school. He then went on to have a productive college football career at the University of Miami. He played in the NFL Europe League for the Amsterdam Admirals, leading them to victory during the World Bowl XIII. His father was legendary Chicago Bears running back Walter Payton. He became friends with NFL defensive back Charles Tillman.